Micromachines is an open access journal on the technology and science of micro-scale machines and micromachinery, published monthly online by MDPI. 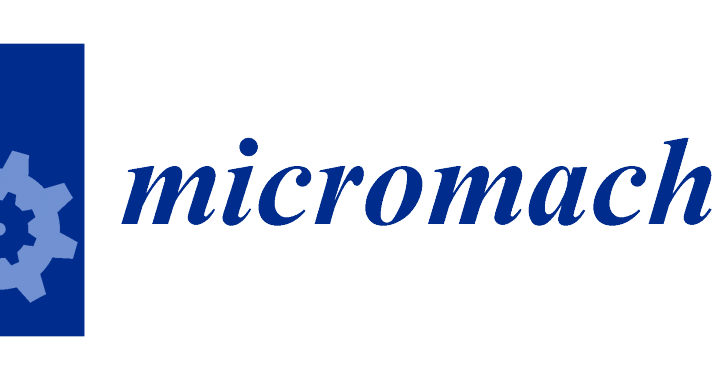 Micromachines seeks and encourages submission on significant and original works related to all aspects of micro/nano-scaled structures, devices, systems as well as related micro- and nanotechnology from fundamental research to applications. For more information, also check out our special issues, currently open for submissions. We present a selection of recently published papers that highlight the latest research in the field of micromachinery. Micro plasma devices (MPD) with power gains are of interest in applications involving operations in the presence of ionizing radiations, in propulsion, in control, amplification of high power electromagnetic waves, and in metamaterials for energy management. Here, we review and discuss MPDs with an emphasis on new architectures that have evolved during the past seven years. Devices with programmable impact ionization rates and programmable boundaries are developed to control the plasma ignition voltage and current to achieve power gain. Plasma devices with 1–10 μm gaps are shown to operate in the sub-Paschen regime in atmospheric pressures where ion-assisted field emission results in a breakdown voltage that linearly depends on the gap distance in contrast to the exponential dependence dictated by the Paschen curve. Small gap devices offer higher operation frequencies at low operation voltages with applications in metamaterial skins for energy management and in harsh environment inside nuclear reactors and in space. In addition to analog plasma devices, logic gates, digital circuits, and distributed amplifiers are also discussed. In the present work, an integrated optofluidic chip for fluid viscosity measurements in the range from 1 mPa·s to 100 mPa·s is proposed. The device allows the use of small sample volumes (<1 µL) and the measurement of viscosity as a function of temperature. Thanks to the precise control of the force exerted on dielectric spheres by optical beams, the viscosity of fluids is assessed by comparing the experimentally observed movement of dielectric beads produced by the optical forces with that expected by numerical calculations. The chip and the developed technique are validated by analyzing several fluids, such as Milli-Q water, ethanol and water–glycerol mixtures. The results show a good agreement between the experimental values and those reported in the literature. The extremely reduced volume of the sample required and the high flexibility of this technique make it a good candidate for measuring a wide range of viscosity values as well as for the analysis of nonlinear viscosity in complex fluids. In this communication, we report a physical method for the fabrication of organic solvent and surfactant-resistant barriers on paper-based fluidic devices. When nonwoven polypropylene sheet is embossed with a steel mold, the embossed region acts as a physical barrier that can prevent the flow of liquids. Embossed polypropylene barriers not only block water, but also block organic solvents and surfactants, which are known to be difficult to handle on previous paper-based devices. Various amounts of embossing pressures were tested to determine the minimum embossing pressure required for leakproof barrier formation. The compatibility of the barrier was also investigated with several surfactants and organic solvents. As a demonstration, a lysis buffer, which was known to leak through wax-printed barriers, was used to detect Escherichia coli ( E. coli )O157:H7. To the best of our knowledge, this paper is the first to report a one-step fabrication method of paper-fluidic devices capable of handling surfactants and organic solvents, including alcohols. Posted in MDPI News, Micromachines, New and Notable, Open Access Publishing and tagged embossing, microfluidics, optical forces, paper-based fluidics, plasma devices, power amplifiers, surfactants, terahertz switches, viscosity.